Madrid, Spain’s capital, is one of the most popular travel destinations in Europe. With a metropolitan population of about 6.5 million inhabitants it is one of the largest cities of Europe and an important engine of the Spanish economy. Madrid’s history, architecture and flair are a huge magnet that draws millions of visitors from all over the world. The Prado is Madrid’s most popular museum due to its outstanding art collection that includes works by Velazquez, Goya, El Greco, Brueghel, Dürer, Botticelli and Caravaggio. Some of the masterpieces of the Prado include Hieronymus Bosch’ The Garden of Earthly Delights, David with the Head of Goliath by Caravaggio and Las Meninas by Velazquez. In addition to paintings, the Prado also features thoursands of drawings, prints, sculptures and historic documents. The Reina Sofia Museum is steps away from the Prado and focuses on 20th century art including works by Salvador Dali and Pablo Picasso. Other 20th century masters include Joan Miro, Juan Gris, Man Ray, Max Ernst and George Braque. The Reina Sofia Museum’s most famous exhibit is Guernica, Pablo Picasso’s evocative painting about the tragedy of the Spanish Civil War. The Thyssen-Bornemisza Museum houses collections of Impressionists, Expressionists and other paintings from the 20th century. What developed from a private collection in the 1920s has become one of Madrid’s premier destinations for art lovers who will find masterpieces by Goya, Renoir, Van Gogh, Monet, Picasso, Mondrian and Liechtenstein. The Gran Via (literally translated: Broadway) is one of Madrid’s main shopping streets and was constructed in the early part of the 20th century after a huge number of older buildings were torn down. It features a large collection of impressive Art Nouveau and Art Deco buildings and houses numerous theatres, cinemas, fashion stores and restaurants. The Rastro is Madrid’s famous flea market that is only open on Sunday mornings. It is located in the city’s centre close to the La Latina metro station. Be aware of pickpockets though. The Royal Palace (in Spanish: el Palacio Real) is one of Madrid’s main attractions and is one of the biggest in Europe. The palace’s façade has 870 windows and 240 balconies and an enormous courtyard that overlooks the Madrid’s western districts. The Royal Palace is the official residence of the Spanish Royal Family, but they actually live in another palace on the outskirts of Madrid. The Almudena Catheral (in Spanish: la Catedral de la Almudena) is located across from the Royal Palace and a very recent addition to Madrid’s landmarks. As Toledo was the seat of the Catholic Church in Spain for many centuries, Madrid had no cathedral. Construction finally began in 1879 and was not finished until 1993. The cathedral features a modern neo-Gothic inspired interior and in 2004 it was the location of the wedding of Prince Felipe of Asturias and Princess Letizia. The Plaza Mayor is Madrid’s main square and was constructed in the 1500s during the reign of the Habsburg monarchs. A statue of King Felipe III surveys the plaza and street cafes surround all four sides of the identically designed facades of this public space. In the past the Plaza Mayor was the location for bullfights, tournaments, markets and even executions. Today it is still one of the most popular public gathering spaces in Madrid. The Puerta del Sol is Madrid’s other huge public square and is always full of people. It’s a great location for street theatre and street performers and an amazing place for people watching. Madrid’s symbol, a statue of a bear with a madroño tree is located here, and this is also the place for the city’s New Year’s celebration. Embedded in the pavement on the Puerta del Sol is the plaque for Kilometre Zero, the location from which all roads in Spain are measured. Retiro Park (its full name is El Parque del Buen Retiro) makes up the green lungs of Madrid. Especially during Madrid’s sweltering summer days, the 350 acres of shade trees of the Retiro offer welcome respite from the hot sun. The park holds a large lake (El Estanque) that is full of rowboats, a Victorian-era glass palace – the Crystal Palace (El Palacio de Cristal), many scultpures and monuments. The park is always filled with live music and many street performers, so it’s a great place for entertainment and relaxation. The Atocha Railway Station is not far away from the Retiro and is an engineering marvel from the late 1800s. Today, the trains depart from the new Atocha train station, so the interior of the old station has been converted into a tropical park with a variety of cafes and restaurants. Atocha was also the target of the 2004 train bombings that killed 191 people and wounded 1800 more. The Templo de Debod is a real Egyptian temple that was a gift presented by Egypt to Spain for its role in saving the temple of Abu Simbel from flooding during the construction of the Aswan Dam. The temple to Debod is located in a beautiful park that provides great views of the landscapes west of Madrid. Madrid is a bustling metropolis and its inhabitants are well-known for celebrating through the night. Whether you come to Madrid for art, culture, architecture or entertainment, you should definitely have a great time. 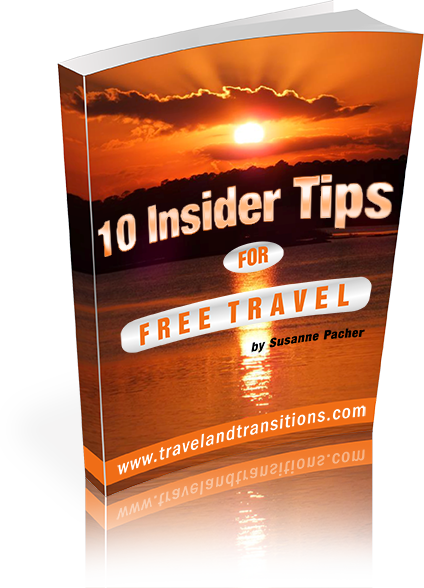 Please visit our website for interesting travel stories and useful travel advice. Check out our articles from our 2010 trip to Madrid. Feel free to contact us if you ever need Spanish translation services. Thanks for the Madrid info – very helpful.